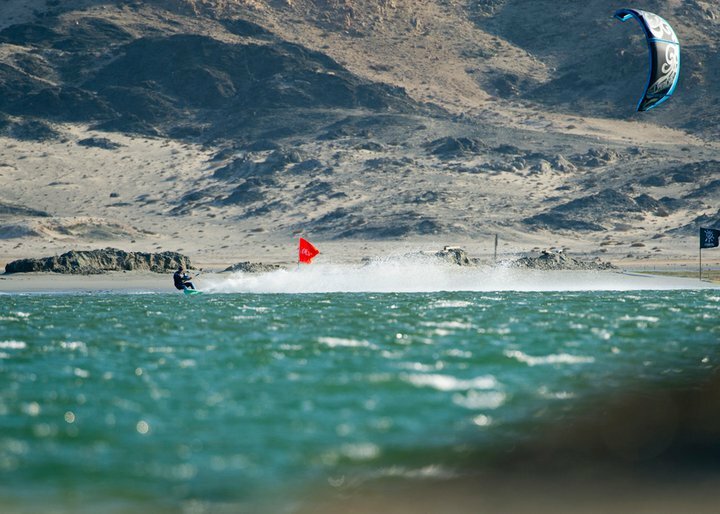 Alex Caiziergues has set a new world speed record for kitesurfing a the Luderitz Speed Event 2010 in Namibia. He clocked an average of 54.1 knots (100.2kmh) over the 500 meter course, which makes him the fastest naturally powered person on water ever. Here is a video of the event. This location is not for beginners! Heaps of speed in narrow water. And the dude (sunbathing?) gets wet too. Alex used a stock standard F-one Bandit4 kite.